Are you ready to discover the Caribbean Coast? Puerto Viejo de Talamanca is a coastal town in Talamanca in Limón Province in southeastern Costa Rica, known simply as Puerto Viejo to locals. 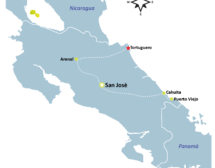 The town was originally called Old Harbor until the Spanish central Costa Rican government institutionalized Spanish as the new local language and changed the names of the towns and landmarks in the area from English to Spanish. Fields became Bri Bri. Bluff became Cahuita. The Afro-Caribbean English speaking culture was actively dismantled. 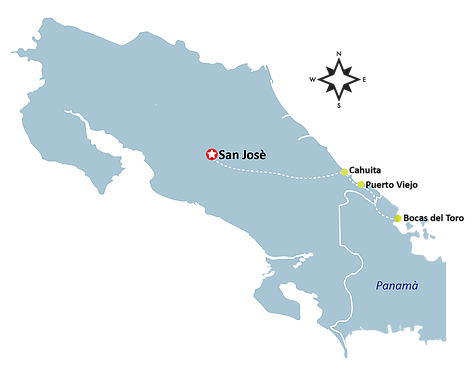 There is another town commonly known as Puerto Viejo in northeastern Costa Rica, which can confuse visitors. Buses leaving the same San José station for either of the Puerto Viejos display the same destination, “Puerto Viejo”. Puerto Viejo de Talamanca is a popular tourist destination. It is known in the surfing community for the biggest and most powerful wave in Costa Rica, known as Salsa Brava. 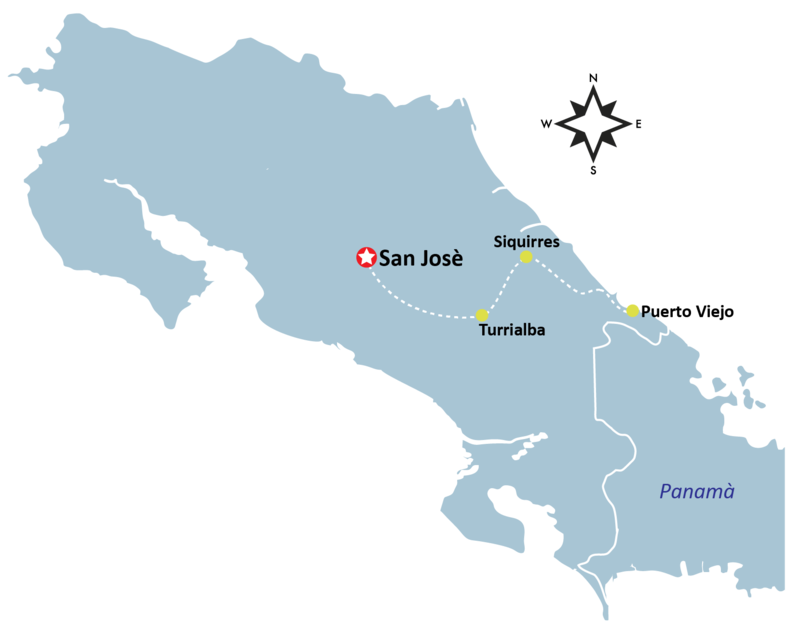 It is also home to beautiful beaches, such as Playa Chiquita, Playa Negra, and Punta Uva, which are a few of Costa Rica’s most spectacular beaches which can be found between Puerto Viejo and Manzanillo. Manzanillo is a popular location for kayaking and is 13 km (8 mi) south along the beach. The popular Jaguar Rescue Centre is nearby. Many tourists stop in Puerto Viejo en route to the Panamanian border at Sixaola. 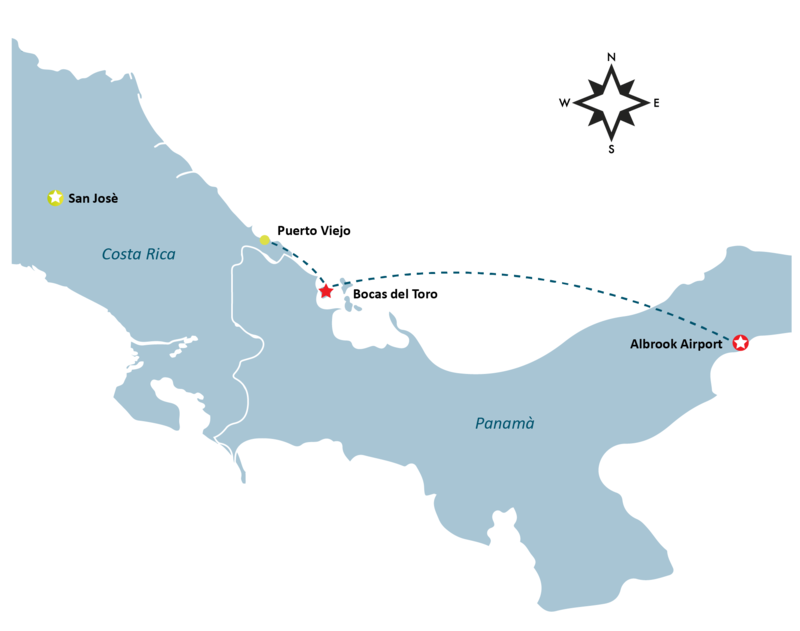 This border crossing is popular with people going to and from Bocas del Toro. Puerto Viejo offers the closest accommodations, restaurants, and services to the border. The small border towns of Sixaola and Guabito, Panama are 49 km (30 mi) south of Puerto Viejo. The border towns have no accommodations or restaurants. The townspeople are made up of Ticos (native Costa Ricans), a substantial Jamaican population, as well as a number of Europeans who have emigrated to the area. Contrary to common opinion that it rains all the time on the Caribbean, the South Caribbean Coast is actually one of the driest places in Costa Rica when you look at total rainfall over the year – check this chart to see a comparison of the different areas of Costa Rica. The difference is that on this side, it is more spread out over the year. Also note that most rain comes at night and days clear by early-late morning. The weather charts below will give you a general idea of the patterns but it’s still a crap shoot. And most time, when it rains, it may be short, but a dump an amount of water you might have never seen before. It can be very magical. As you can see the average temperature varies hardly at all different times of year. Rainfall does vary a little. The chart makes it look like it’s raining all the time but while there is some rainfall most days as you can see it often comes either in the middle of the night or a quick shower in the afternoon and then it’s sunny again. The most consistently dry months are September and October which just happen to be the wettest on the Pacific with pretty much constant rain there. 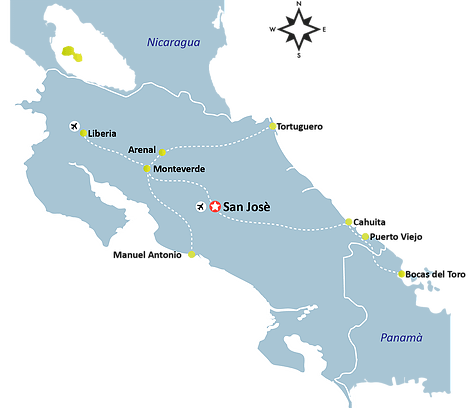 So if you’re planning a Costa Rica trip in the fall keep that in mind!